The maker of a little-known match-3 game involving candy pieces says he's being steamrollered by the scorched-earth trademark strategy of the casual gaming powerhouse Candy Crush Saga, despite the fact his game and its name are two years older. CandySwipe is the name of the game that Albert Ransom, of Runsome Apps, launched in 2010. Candy Crush Saga debuted in 2012. CandySwipe is a matching game involving candy pieces. So is Candy Crush Saga. 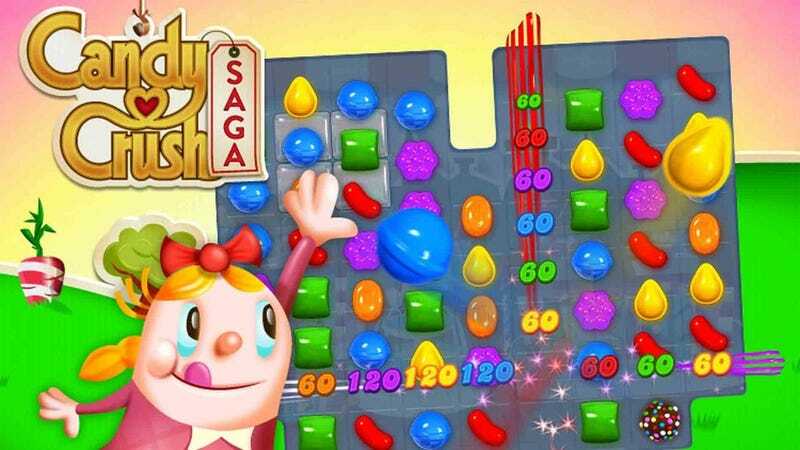 King.com, maker of Candy Crush Saga, has been widely ridiculed for its trademark claims to common words like "candy" and "saga," which it says is an effort to protect the game from blatant ripoffs. Yet Albert Ransom, the maker of CandySwipe, says Candy Crush Saga is blatantly ripping off his work. Ransom says he filed for a trademark on CandySwipe before Candy Crush Saga even existed. When King.com registered for a trademark on "Candy" in 2012, he opposed it on the same grounds—"likelihood of confusion"—that King now opposes the trademark application for The Banner Saga, a game utterly unlike Candy Crush Saga. Ransom and King have gone back and forth since 2013. King.com, in a message to Kotaku, notes that it is not "seeking to cancel" the trademark for CandySwipe, as the dispute has been commonly described. It's basically just opposing CandySwipe's unique claim to the "candy" trademark on this type of video game. What gives King.com the standing to do that? Well, as Ransom alleges, King.com bought the rights to another game, called Candy Crusher in the past month. Candy Crusher dates to 2004. That acquisition would seem to put King.com ahead of CandySwipe on the clock for a claim to the word "candy" in a video game. That's on the name alone. Ransom, in this open letter, points out that Candy Crush Saga's iconography and even its level-ending "Sweet!" message all "are nearly identical: to elements in his game. Further animating this highly charged debate, Ransom says he created the game in memory of his mother, who died at 62 of leukemia. Her name appears after completing the Android version of the game, Ransom says. "I have spent over three years working on this game as an independent app developer. I learned how to code on my own after my mother passed and CandySwipe was my first and most successful game; it's my livelihood, and you are now attempting to take that away from me," Ransom says "I have been quiet, not to exploit the situation, hoping that both sides could agree on a peaceful resolution. However, your move to buy a trademark for the sole purpose of getting away with infringing on the CandySwipe trademark and goodwill just sickens me." If you really want to know more about this trademark foofaraw, read this.